Ensure that employees and public are warned against hazardous zones. 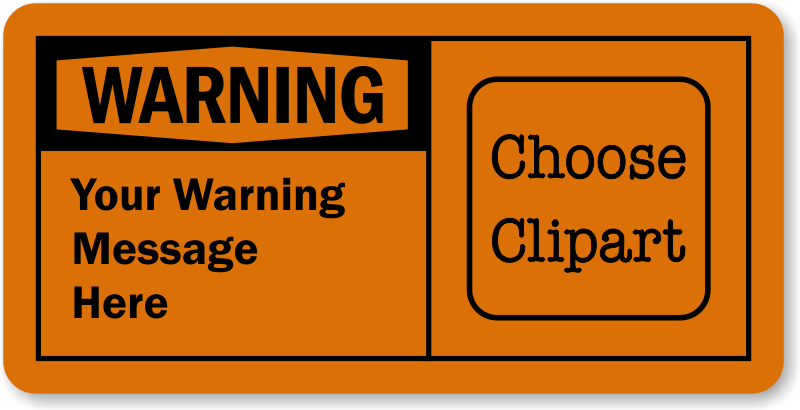 Design your own OSHA compliant Personalized Warning Label with our free online wizard. Label is made from laminated vinyl and is water, chemical and weather resistant. Easily wipe off dirt, dust or grease with a clean cloth. Choose from several sizes as per your requirements.